How do you compete with Amazon? That’s a pressing question, not just for digital marketers, but for all retailers. For some clues as to how retailers can hold their own in an environment increasingly dominated by Amazon, we looked to the results of our first-ever Personalization Index. The Index includes exhaustive research on 100 well-known retail brands. The result: A rich analysis of which retailers are personalizing, how they’re doing it, and to what end. 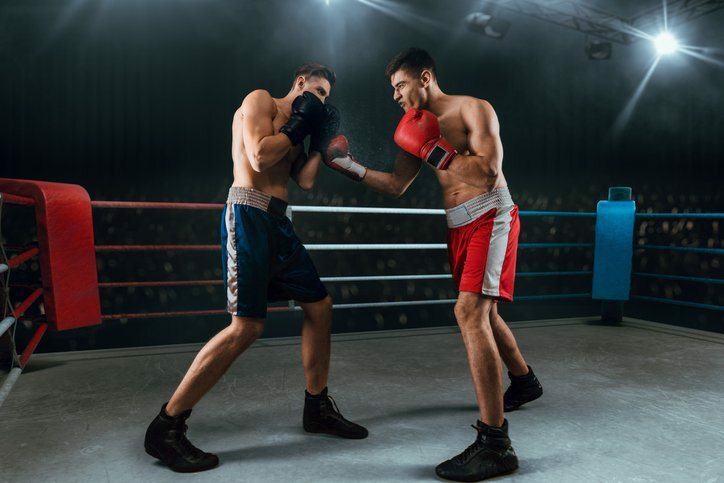 And it turns out that some of the most telling answers to, “How do we compete with Amazon?” can be found in the strategies of another online marketplace: eBay. While Amazon placed 17th in our Personalization Index, eBay tied for fifth. The two marketplaces use personalization, and digital marketing in general, to compete in vastly different ways. This is most evident in the two companies’ strategies regarding onboarding, abandoned carts, and the use of mobile technologies. In this post, we’ll take a close look at experience created by each of the companies’ onboarding messages. We’ll follow upon abandoned carts and mobile in future posts. In all three cases, we find yet more evidence that successfully implementing personalization isn’t just about more communications, more recommendations, or more features to your app. Instead, the most powerful personalization strategies start with each brand’s unique knowledge of their customers, and build on that knowledge to create one-of-a-kind customer experiences driving engagement and repeat purchases. At first glance, Amazon doesn’t seem to do anything special when it comes to onboarding new customers. The first time a shopper buys something on Amazon, they receive the usual transactional emails. At the bottom, there may be a message encouraging the customer to sign up for Prime. But there’s nothing else that would help a customer get the most out of the Amazon experience. There aren’t any hints or hacks to make shopping on Amazon easier. 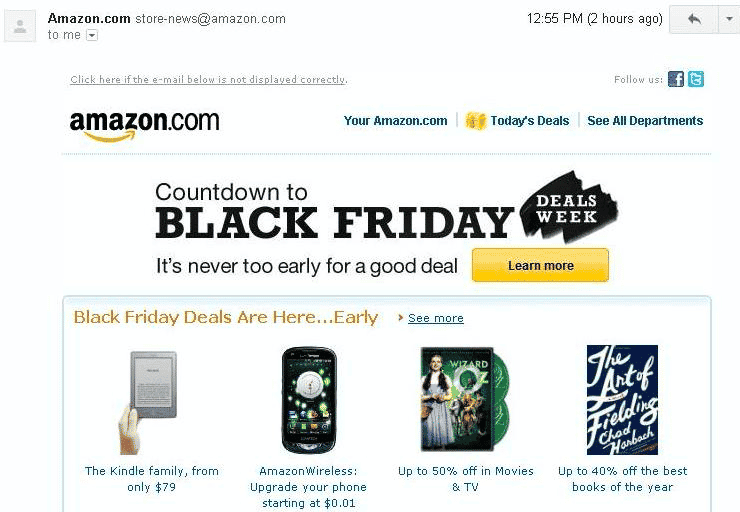 This is actually the first clue that Amazon doesn’t rely heavily on email to communicate with customers. Amazon doesn’t have a preferences manager on their site that would let the customer choose how much email they’re going to get from Amazon. In general, Amazon doesn’t particularly want to take explicit direction from its customers. They’d rather use the data to figure it out themselves. eBay is much more direct in how it onboards new customers. Yes, they want to welcome that new person, and get them comfortable buying on the platform. But eBay also has a longer-term goal in mind: converting buyers into sellers. When a customer signs up for eBay, they get a standard welcome email. Then there are follow-up emails that help them become get better-acquainted with the platform’s features. These welcome emails acknowledge, albeit only tacitly, that buying on eBay for the first time can be accompanied by some trepidation. New customers might not be completely comfortable with eBay, or with the fact that they’re buying from strangers rather than established brands. So eBay uses one of its onboarding emails to to introduce customers to the site’s ratings system. Another email covers the basics of buying on eBay. There’s information about how bidding works. For eBay, the key to long-term engagement is getting people to sell on the platform. Selling on eBay is a completely different process from buying, and it takes some work to get people to understand the benefits of selling on the site. 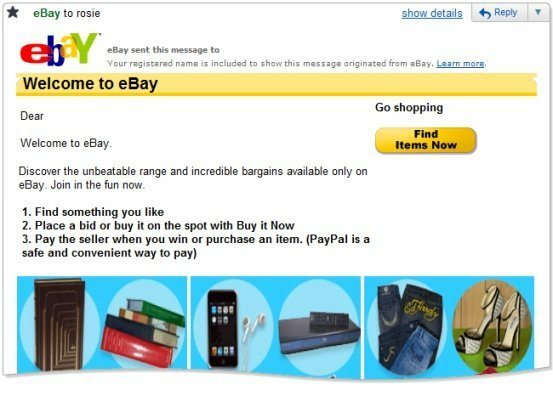 Within the first few weeks of signing up for eBay, the company sends new customers an email stream that takes them through the how and why of becoming sellers. eBay knows that people who sell on the site will continue to buy and will become better long-term customers. So eBay makes sure to plant that seed – you, too, should become an eBay seller – right from the beginning. Their entire onboarding strategy is created with that goal in mind, differentiating it from almost every other retailer, including Amazon.